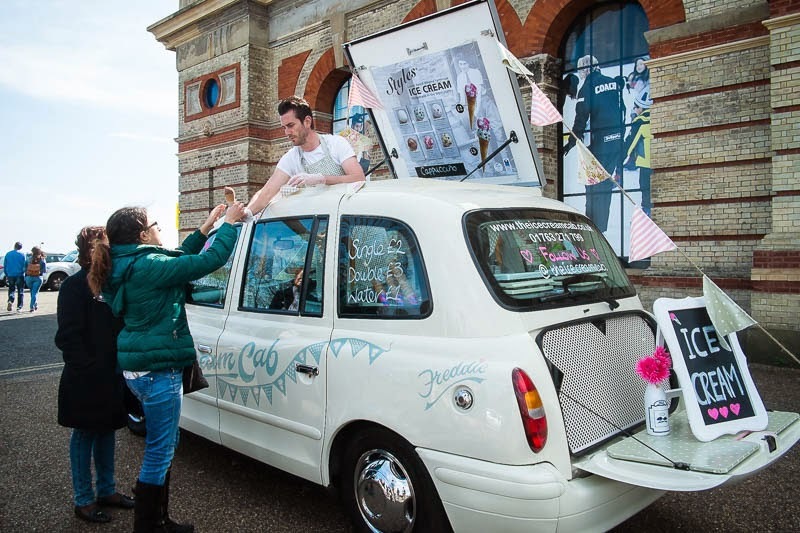 London's iconic black cabs are famous world wide, now we have Freddie with an iconic ice-cream cab. This ain't Mr Whippy with whistles and bells, this is ice-cream for grown ups. (although the kids will still want some too). What is the difference between ice cream for kids and this? Not that I care, give me one! Yum....that looks like a delicious idea! One doesn't see ice cream in these too often! It looks like a creation from George Clarke's "Amazing Spaces"!